If you’re a new Centron customer, you’re about to discover our competitive pricing. Also, we offer a free initial four-week rental on certain units. When you place a storage supply order of $40 or more, you’ll get 10% savings! 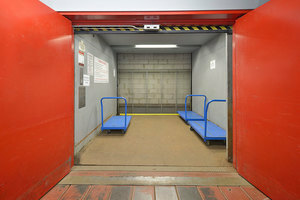 Come to our North York self storage location or call us; mention this offer and we’ll add the discount immediately. If you need boxes, tape, and packing materials — we have it all. 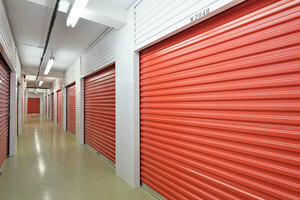 Why Centron Self Storage in North York? 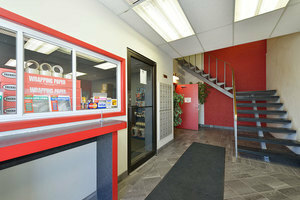 Our self storage facility in North York is located just off of Finch between Keele and Dufferin. We’ve proudly served local customers for two and a half decades. If you seek a facility that has state-of-the-art technology, is clean and up to date, and has a fully-trained staff, look no further. We take every necessary precaution to protect your belongings 24/7, and have a number of unit sizes. SMBs (small and medium businesses) often come to us for affordable storage solutions — when you have equipment or files to store off-site, we’re here for you. Even if you don’t require North York self storage from our Chesswood Drive location, we offer packing and moving supplies. Get great value, awesome service, and lower prices than competitor locations can provide. You’ll be pleased by the protection your stuff gets and the care our friendly staff offers. Suggested Content: Contents of a 3-4 bedroom house, major appliances.